Today we’re talking about 2014 – that’s right it’s time. I’m pulling back the curtain and sharing exactly how I double my business EVERY year. I’m sharing how you can do the same thing in 2014 (it’s easier than you think). Not only is this super profitable but it also makes next year a lot easier because stuff is ready for you and you leave behind the “what am I doing” feeling. 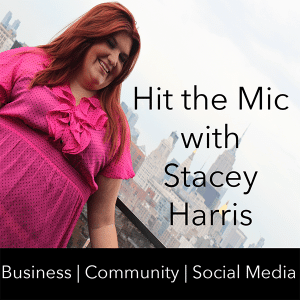 This is the Hit the Mic episode I really needed to hear! That’s great to hear Erica! Thanks for listening. What big things do you have on deck for 2014?